The iPhone 5 exploded onto the world stage last month and captured the imagination of the smartphone buying public. There were rumblings of Apple having struggled with the new phone following the death of founder and fearless leader Steve Jobs last year, but the iPhone 5 didn’t disappoint when it hit stores. Now that we techies have finished downloading our favourite Apps and have tried out all of the great new features, we can’t helped but wonder about what the future holds for Apple, and what possibilities there could be for features on an iPhone 6. 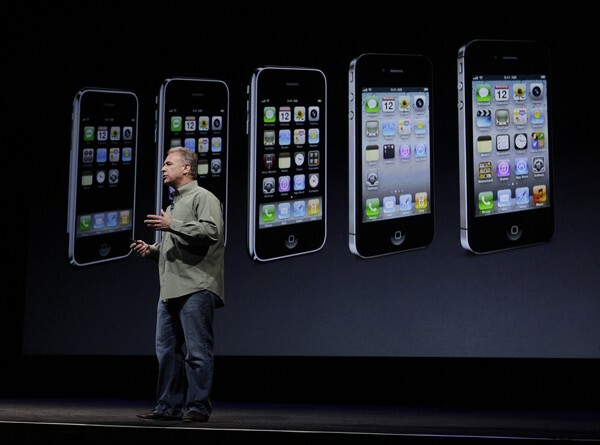 If the iPhone 5 attracted any criticism, it was that nothing that was unveiled was a game changer. It was a very cool and modern smartphone device, but it was a little like a Mini Cooper: Beautiful and reliable, but also a little predictable. You can argue that this is what Apple users expect now, but there are many that are saying that Apple need to do something to change the game. Apple did receive a lot of criticism for their Maps app, with some suggesting that it could prove to be their undoing. But you could also argue that it showed that Apple showed that they were prepared to try new things and put themselves on the line; and that bodes well for the iPhone 6. Many tech experts are expecting the next few iPhone handsets released by Apple to concentrate ironing out the faults and making the device lighter, improving coverage and ensuring that the internet is as fast as it can possibility be. If it can manage this, not many people should expect Apple to be hoisted from their throne anytime soon. Samsung Galaxy, Blackberry and the rest of the competition are right on the heels of Apple, and it can only lead to all the smartphone companies raising their game, which means by 2016, Apple should have invented time travel for the iPhone 6. Okay, that’s a little bit of an outlandish theory, but the sky is definitely the limit. If Apple can nail the Maps function, it is still likely to be the number one smartphone on the market when the iPhone 6 arrives. Apple reported that it sold more than 2 million iPhone 5’s during the first 24 hours, with many estimating that 10 million were sold in the debut weekend. That doesn’t sound like a company and product that’s losing its muster. Daley is a huge smartphone buff. He works with www.mobileinsurance.co.uk to ensure that all fellow phone techies can get their phones covered for loss, theft and damage.